All residents of the Hackensack River watershed live within minutes of a body of water. However, many people don’t realize that the destination of lawn-care chemicals, fluid leaks, pet waste and curb-side debris is usually a storm drain which flows into a nearby stream. Public education about this type of pollution is often cumbersome, expensive and ineffective. The Water Quality Educational Monitoring Program is a hands-on watershed curriculum for high school students in the Hackensack River watershed that teaches about non-point source pollution, water chemistry, and ecology. After classroom and field training by Hackensack Riverkeeper, each participating class is issued a water quality monitoring kit which they use to test their local waterway(s) throughout the school year. Among the water quality parameters that the students study are temperature, salinity, dissolved oxygen, nitrates, phosphates, ammonia, pH, turbidity and copper. Through research, graphs and analytical thinking, students attempt to determine whether day-to-day changes and site-to-site changes in their measurements could be a result of natural phenomena, human contribution, or a combination both. While the students are involved in their studies, the data that they collect is submitted to and reviewed by the Meadowlands Environmental Research Institute for quality assurance. The data is available for public review on this website. 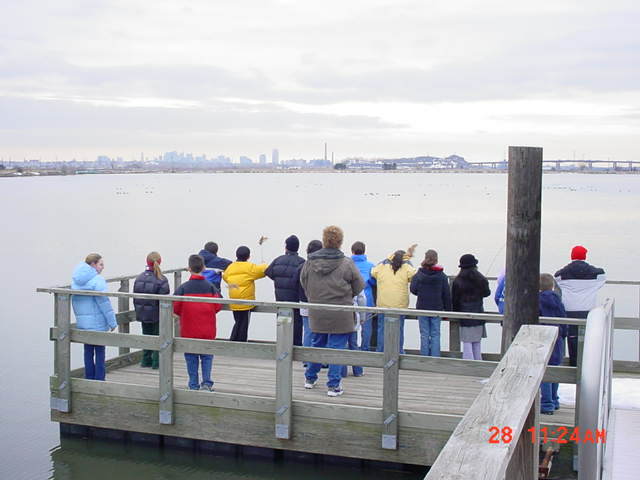 The Water QEM Program is a cooperative venture between Hackensack Riverkeeper (HRI), the Meadowlands Environmental Research Institute (MERI) and the participating schools. Additional funds are supplied by the New Jersey Meadowlands Commission and the NY/NJ Harbor Estuary Program.